Seems like we are absolutely steamrollering through this National Hunt season!! I’m currently delving deep into the three day festival on the full NTF service, covering 15 races over the three days, culminating in the National itself. I’ve already provided full members with some early National thoughts, covering the current top 55 horses in the weights, with the figures landing on six trends topper’s, all of which are currently 33-1 or larger in the betting (so no Tiger Roll in that shortlist…). Limited numbers, for sure, and far from spectacular but certainly an angle that’s worth keeping on the periphery of our vision. Henderson is the winning-most trainer at recent Aintree Grand National meetings, by some way in all honesty, sitting ten clear of his nearest rival and 13 clear of the third on the list. He’ll have winners again this year, no doubt about that, and the mini-angle above is one of a few ways into his Aintree string. Tizzard’s record at this meeting has really stepped on in the last couple of seasons, with 10 of his 12 winners in the past 6 years coming at the last 3 meetings. You could certainly back his string blind and pull in a profit but I just prefer to dig a bit deeper and lessen the number of bullets I fire, hence the ‘mini-angle’ approach. 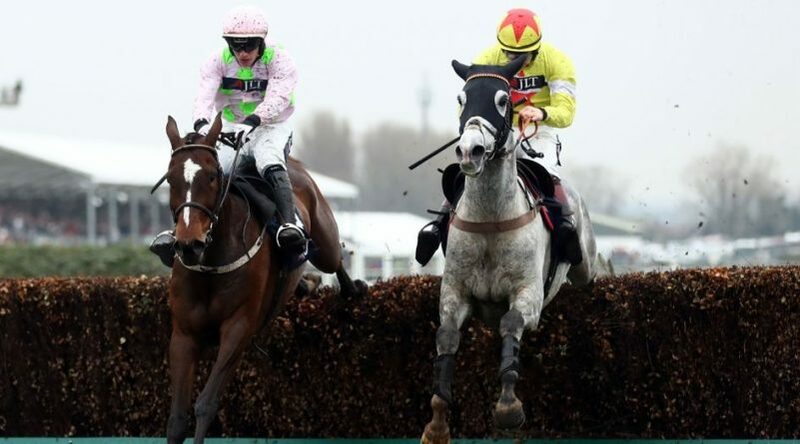 In all honesty Aintree wouldn’t be a meeting I attack as thoroughly from a stats perspective (outside of the Race Trends side of things) as I do the Cheltenham Festival, but there are still plenty of worthwhile pointers to note and have firmly on your radar as you sift through the competitive three day bonanza. Doors are now open for the NTF Aintree Grand National service and you can hook onto the main service for £15, allowing you full access to all races covered over the three days, as well as the in-depth race notes I produce for members post-meeting. I look forward to seeing plenty of you in the NTF Members Area for three days of high-class Aintree action. Can Tiger Roll REALLY win back-to-back Nationals? Hi Ben. Many thanks for latest blog. I have concern about the Tizzard stable form after a poor showing — Native River apart,not soft enough and thereby ran creditably in the Gold Cup — at Cheltenham. Just a bit of an outlier in the National,I have backed Mall Dini NRNB. Yes, Tizzard runners running well-below form at present for sure and he does need something to spark his yard back into form quick smart! Mall Dini – 0/14 over fences…will need to do a Rule The World and break his chase duck in the National!! Hi do these stats include the Grand National? OR… 152-130? Yes, National included. One horse in time frame to win a handicap at track from above OR 152 was Many Clouds in his National. Great blog as always, plenty to look at in the coming days. Have to agree with Desmond…Gizzard can’t buy a winner at the moment. Have to disagree with you, though ( I know, how very dare I?). Tiger Roll will (bar a fall) definitely win the Grand National!! Knew it as soon as it ran at Cheltenham. Carries weight (as at Cheltenham), jumps for fun, and stays all day long. Of course, the last dead cert, can’t lose, the-others-could- set-off-now, that I tipped up was Bouvair d’aire…ah well!! In Red Rum’s day over half the national runners were out of the handicap. (less prize money = less competitive). If Tiger does it he would be a super horse. No doubt it will be a serious performance from Tiger Roll should he win it, not many win the National from the mark he’ll be running from, let alone win 2 Nationals back to back.